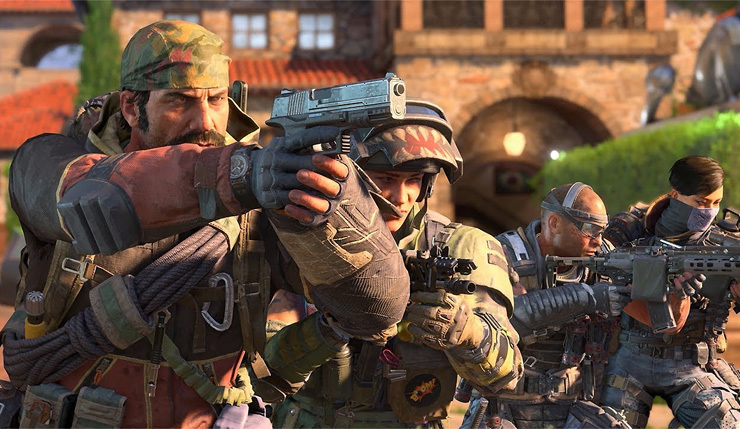 As we recently reported, loot boxes were quietly added to Call of Duty: Black Ops 4 as part of its recent Grand Heist update, and the response was less than enthusiastic. Understandably so, as the new “Reserve Crates” don’t display odds, and include duplicates, weapons with special XP boosts, and Blackout battle royale characters. Black Ops 4 design director David Vonderhaar tried to distance Treyarch from the new loot box system, saying they were a “business decision” the studio had little input in. Well, following the fan outcry, Treyarch has tweaked the way players can earn free loot boxes, called Reserve Cases, through gameplay. Players can now earn Reserve Cases beyond tier 100 in the Contraband battle pass system. The rate at which Reserve Cases are earned through gameplay has also been doubled. Previously, you had to play as long as two hours to earn a Reserve Case. Those who have already progressed beyond tier 100 in the Grand Heist Contraband stream will be automatically awarded any Reserve Cases they’re owed. Of course, it should be clarified that Reserve Cases and Reserve Crates are different things. Reserve Cases are earned in-game and each only contains a single item, while Reserve Crates are purchased with real money and contain three items. So, Treyarch has made it easier to earn Reserve Cases, but they haven’t done anything to change Reserve Crates, which still include duplicates and items that go beyond being strictly cosmetic. You may be less tempted to buy Crates now that Cases are easier to get, but the system is still problematic. What do you think? Has Treyarch improved Black Ops 4’s loot boxes enough to satisfy you? Or do more changes need to be made? Call of Duty: Black Ops 4 is available now on PC, Xbox One, and PS4. The Grand Heist update is out now on all platforms.